Though most of us will never have a movie made out of our life story, it doesn't make it any less interesting and worthy of learning more about. This includes our guest today, Laura Spinella. Laura grew up on Long Island in the 1970s. Though she wanted to be a singer when she grew up, the fact that she couldn't keep a tune held her back. Instead, she wrote. She attended college in Georgia which was where she wrote the outline for her first novel, Beautiful Disaster. There, she experienced the setting of the South which played an key role in her second novel, Perfect Timing, which we celebrate the publication of today! 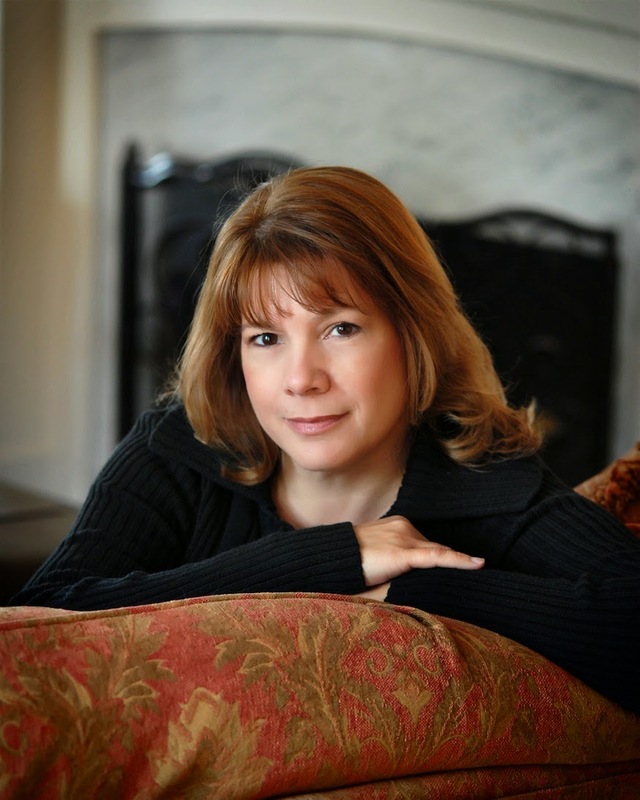 So, without further ado, please welcome Laura Spinella as she helps us kick-off Holiday month here at Chick Lit Central! 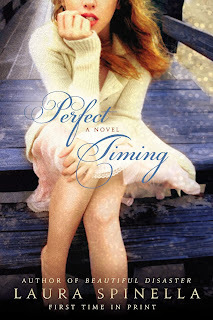 She's even giving out some presents, as she has TWO copies of Perfect Timing for some lucky readers in the US and/or Canada! You can connect with Laura on her website, Facebook and Twitter. The Christmas season gets my bonus points for holidays—though, overall, I’m more of an everyday kind of girl. But since moving to New England a dozen years ago, Christmas seems to have come with a fresh coat of snow. The hunting & gathering of the tree is our biggest tradition. I have this basically ugly, floppy winter hat that I started wearing years ago, when the kids were really little. To this day (and they’re mostly grown now) the hunt can’t begin unless Mom is wearing her tree-shopping hat. Of course, securing the tree is just the start. Decorating is the bigger beast. 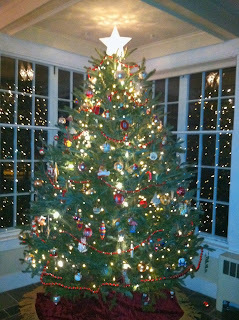 The Christmas tree goes in the sunroom of our 113 year-old house; it a very pretty setting. I have a lot of decorations and from the lights to the last Shiny Brite ornament everybody has their favorite part of the process. Actually, it’s not a very old memory. A few years ago, my daughter’s boyfriend spent Christmas with us—Christmas Eve through the next day. He was an awfully nice guy who didn’t have the greatest family life. I’ll never forget how awed he was by what I considered an average Christmas—presents, everybody in one place, dinner, church, etc... That moment made me realize and appreciate what we do have at the Spinella house. I’m torn: "Hark the Herald Angels Sing" and "Grandma Got Run Over By a Reindeer"… tough call. This is my favorite question! Our holiday movie is probably the most important component to a successful Christmas. The movie has two showings, beginning on Thanksgiving Day when we watch The Homecoming. The second showing is on Christmas Day. You must be present for one full showing or you get no gifts. Yes, it’s a bit of a dictator mandate. But don’t let them fool you; my family wouldn’t miss this 1971 classic. For those of you scratching your heads, saying, “What movie..?” The Homecoming was the pilot for the 1970’s series, The Waltons. It’s gooey and gosh-filled, based on the true story of the Hamner family who grew up in Virginia during the Depression. The movie takes place on Christmas Eve, 1933. In a society that’s so fast-spaced and overloaded with social media the movie is a welcome visit from the past. Well, it used be Chocolate Dreams, an absolutely delicious, made-from-scratch cookie. But in my gluten-free world, they’re now a sweet memory! I usually make a tasty surf & turf meal for Christmas dinner. It’s within the realm of tradition, but just decadent enough to be really special. What do you like most about this holiday? When it’s over! I do enjoy the holiday—especially having our middle daughter home from college. Admittedly, I find it all a little stressful. Balancing my writing schedule and day-job is tough in a holiday-free month, like August. 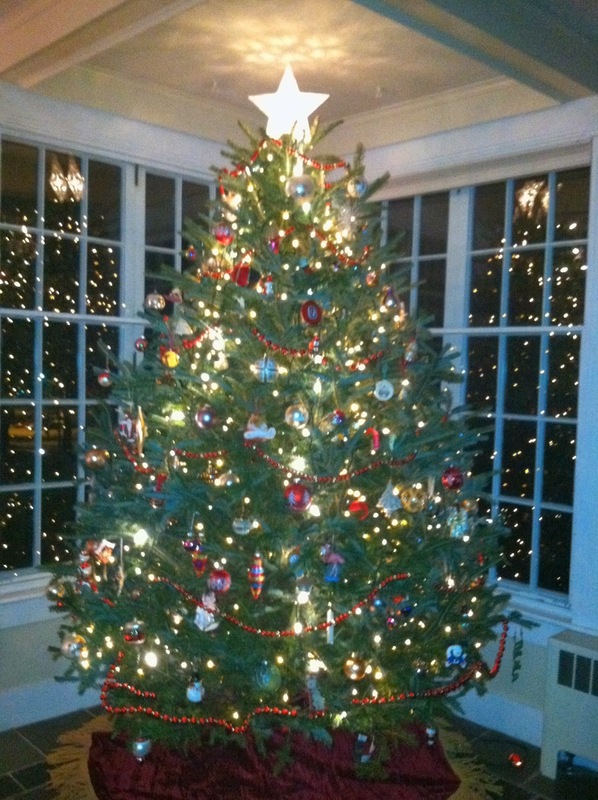 Add a little Christmas to my life and I’m scrambling to get it all done. As much as I love our traditions, one year we might just abandon it all and take a cruise. No doubt, however, everyone will have uploaded The Homecoming onto their cell phones! Thanks to Laura for getting us into the holiday spirit and sharing her book with our readers! US/Canada. Giveaway ends November 10th at midnight EST. Grandma Got Run Over By a Reindeer is a silly Christmas song that always gets a laugh. Has to be the Grandma/Reindeer song...oh my grandmother hated it so! The Grandmother got run over by a reindeer song! I don't know who it's by but they always play it at Thanksgiving since deer season starts the following Monday. "It's the second week of deer camp and all the guys are here. We drink, play cards, and shoot the bull but never shoot no deer." The 10 Pains at Chrstmas! The Hanukah song by Adam Sandler. Can't get thru the Christmas season without hearing Grandma Got Run Over By a Reindeer. Love that song! Grandma Got Run Over by a Reindeer is the only one I can think of!! Stephen Colbert - "Another Christmas Song" is pretty funny!